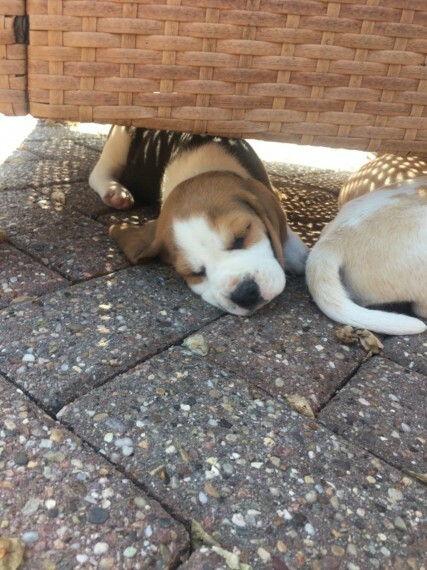 I have a litter of beagle puppies for sale. The puppies will be ready to go from Monday 11th June. I am taking 100 deposits to secure them. Mum is our pet dog. Dad was a stud dog. Both parents are Tri coloured. I have 4 puppies available. 3 boys and 1 girl. The girl is tri coloured the boys are x1 Tri coloured and x2 Lemon and white. The puppies will have a full health check. microchipping and first injection. Vet cards will be provided. The puppies are very well socialised and used to other dogs.